It’s easy to look to the past and future, but what about the here and now. We learn from past mistakes and are hopeful about future achievements, but we should never miss out on the gift of the present. Contrary to popular belief, you should take your time and savor the moment. Many businesses pride themselves on having fast and quick customer service. Fast response time is great, but how long do most businesses spend with the customer? If you were requiring medical assistance, would you like a physician who spends time listening and answering your questions? Or would you prefer a physician who is in and out if your room leaving you with questions? In any area of our lives, we need to slow down and make every moment count. Slowing down permits us to be alert. Why should we be alert? To make every moment count, we must be alert so we can survey and take advantage of our various opportunities to progress. Whatever you do, make the best of each situation and make it count. 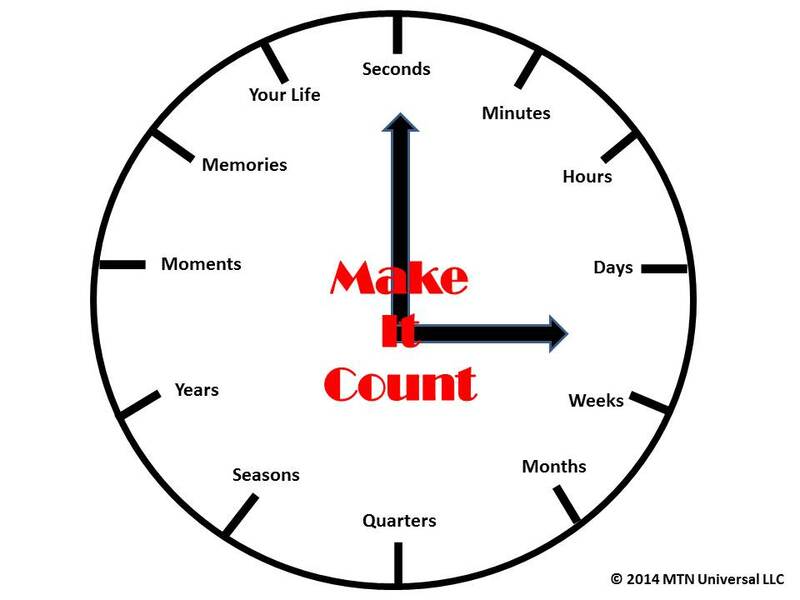 Action: Follow the 3 ways to make every moment count.